Venus is known as the morning star because it is the first and last star seen on the horizon above the rising and setting sun. 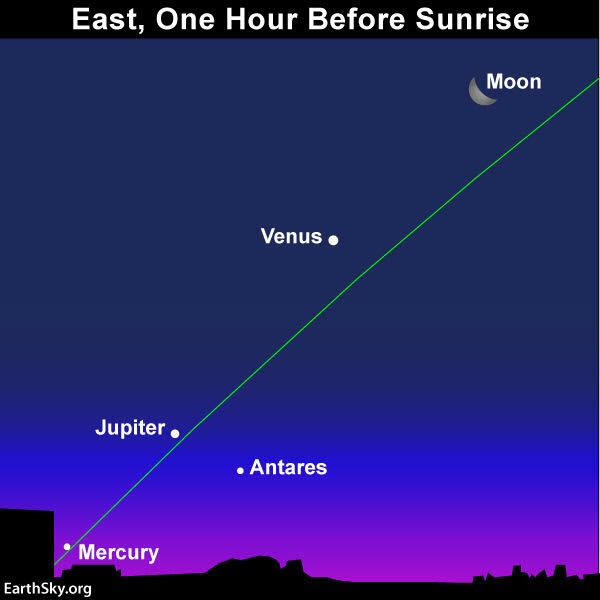 However, this morning there was another planet visible higher up on the horizon above the cresent moon two hours before sunrise. I'm trying to figure out which planet it is. 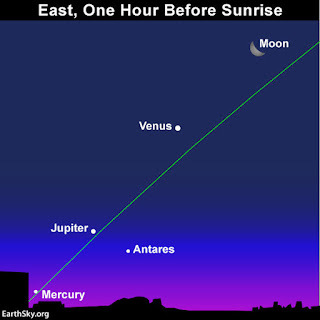 It must have been Venus higher up on the horizon since Jupiter and Mercury appear lower down on the horizon while Saturn and Mars are out of the picture right now. up with the rising sun, omg, oh right you're not retired. On the road two hours before the rising sun. This is winter. The sun doesn't rise until 7:53 AM and yes it is getting cold on the motorcycle.